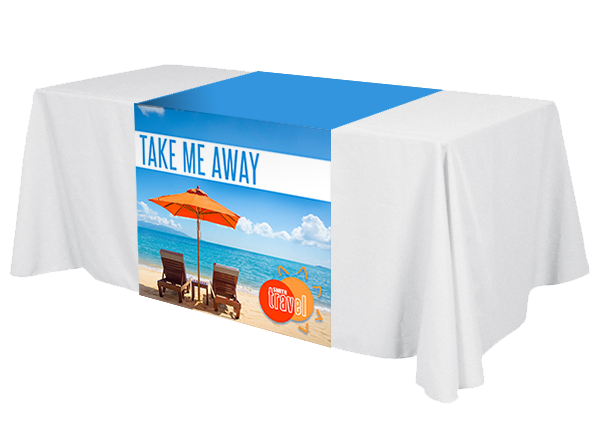 Table Covers will help make you stand out at your next event! 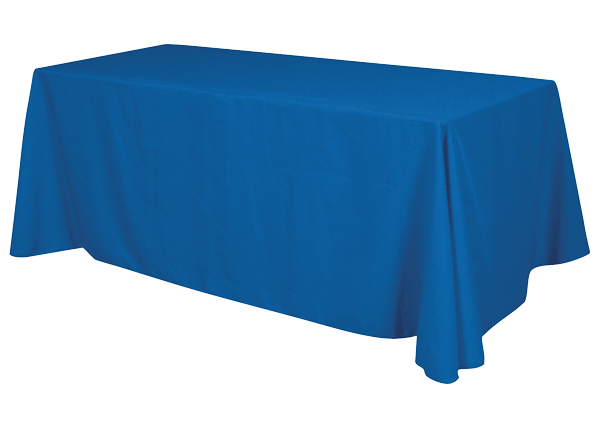 We offer blank throw table covers, table runners and full color table covers. 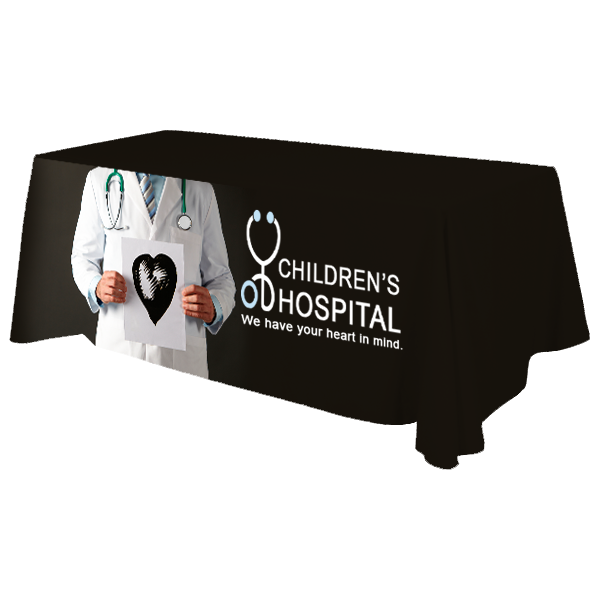 We use a direct dye sublimation printing process. This means that the ink goes through the fabric rather than sit on top of the fabric. This creates more radiant colors and and eye popping display.